I haven't really followed the story of those universal ninjas too much over the past year, so I'm sure there's some significance to the dude in the futuristic/cyber gasa in there. I was more intrigued by the lady inside of the Mag frame and what it's like inside one of those things. 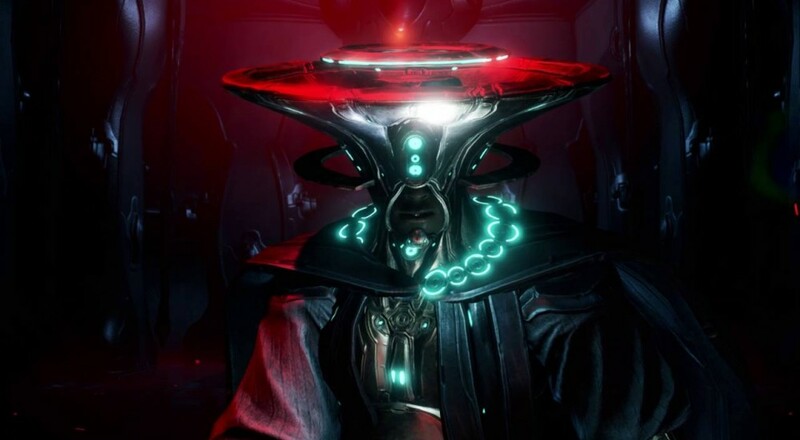 Along with the story tease, there was also a brief glimpse of the newest Warframe (in action?) that will be added to the roster. From what we heard at PAX East, Titania will use her butterflies to attack but can also alter her size to attack foes. No details just yet on when this update will arrive, and chances are good we'll see it for the PC first before the consoles.